AUSTIN — Almost as soon as SXSW is over, it's time to plan for the next one. Almost as soon as South by Southwest Interactive is over, it’s time to plan for the next one. It’s common for people to say the event has jumped the shark — and I heard that more than once in Austin — but this year there were nuggets of value tucked away in the overwhelming horde of attendees, panels, and parties. Attendees need to escape the hassle of waiting in lines, elbowing through crowds at the Austin Convention Center, and paying $6 for a latte. Real estate is hard to come by in Austin during SXSW, but if you can nab a little space somewhere, go for it. Set up a place where current and potential clients, friends and colleagues, or press can enjoy some down time away from the madness. They’ll be grateful for it. Digital agency Huge has done this for the past several years, staking claim to the speakeasy Midnight Cowboy on 6th Street and inviting a select group to stop by. It’s an inviting place to meet people, listen to a casual panel in the backyard, and try a craft cocktail. Mophie, which got attention for its battery-charging pack of St. Bernards, did more than just dispatch the rescue dogs for deliveries. The brand set up the Mophie Rescue Lounge on 5th Street, which offered music, beer, and a view of puppies. Visiting both spots was a highlight of my time in Austin. I heard fellow attendees complain about being hooked by a panel’s catchy title, only to be sucked into an hour of agency case studies or self-promotion. Besides the parties and tacos, people come to SXSW to learn and meet new people. In or outside the conference rooms, flashy promotions and self-aggrandizement aren’t memorable. Even if it doesn’t directly promote your brand or business, introduce people to something they might not hear about in their professional and social circles. Among others, I attended sessions featuring Saudi Arabia’s Princess Reema, the Irish prime minister, and 24-year-old app creators. It might not have been immediately apparent how these talks were applicable to my work, but they helped me think about certain topics in a new light. Everyone wants to be inspired, and if you can help facilitate that, people will appreciate you. Whether it’s BBQ or live music, try to share a taste of the city that’s hosting you. Don’t operate in a SXSW bubble — that’s boring. On my second evening at SXSW, I met leaders from local agency GSD&M, who told me the best thing about the city is its community. As if on cue, five people who were friends with the execs walked by our outdoor table in the span of 20 minutes. "This is Austin!" they said after a third person had stopped to chat. 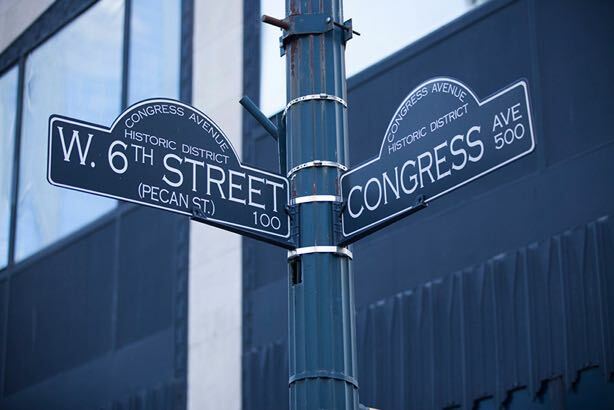 That was the first time I caught a glimpse of the real Austin — and if I had stayed within a three-block radius of the convention center, I never would have seen it. What did you like about SXSW this year? Leave your highlights in the comments below, and read the rest of PRWeek's coverage here.